Isaac Goldberg defined diplomacy as the nastiest of things in the nicest way. The Diplomat we know in Perthville was spying on a naked lady – quite nasty – but said that he did it out in the open so as to facilitate the dialogue between them – nice. But nobody cared for his stipulation to the facts, and now he’s on the run. 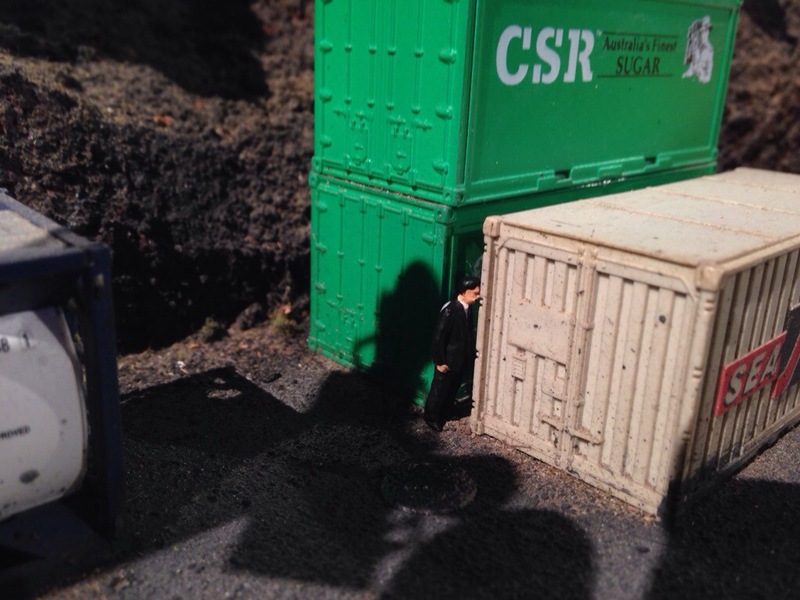 He hid near the shipping containers, and told The Perthville Times that it would look very poor for him to be caught, considering all his connections in high places. The Diplomat is considering leaving by the shipping docks to take the long way round to the other side of Perthville, and join the Senator in his uprising. But will he be seen by the Secret Service agent on top of the mountain, who could easily radio the Three Star General for reinforcements?